As the one-year anniversary of the #EpicBookTourTPD rolls around, my Facebook and Timehop apps are bringing the memories back. Since I never reached a healthy enough mental and emotional state to write about all the adventures the book tour boasted, I’m excited to dish all the details of spending four solid months on the road. Some things that happen on the road, stay on the road. I wrote about Day 1 of the tour several months ago, so you can catch up here. After staying the night with Taylor and Michael in Temple, we readied ourselves to head to Austin for Anna’s second Barnes and Noble book signing. A storm was brewing, and we were drenched after throwing our suitcases in the truck—and of course we had to stop for gas. It wasn’t raining a polite shower. No, this was a downpour—rain coming down in sheets and heavy winds. We arrived in Austin, changed clothes in the B&N restroom and prepared to greet people. Many of our #the4500 tribe attended the signing—so many that if I start naming them, I’ll leave someone out—along with several of Anna’s siblings and friends from when she lived in Austin. I stayed to the back of the crowd mostly, chatting with people and taking pictures. About halfway into the event, one of the #the4500 mamas, Jana, snuck up behind me as she arrived and threw her arm around me in a one-sided hug. “Guess who I brought with me?” she whispered in my ear. 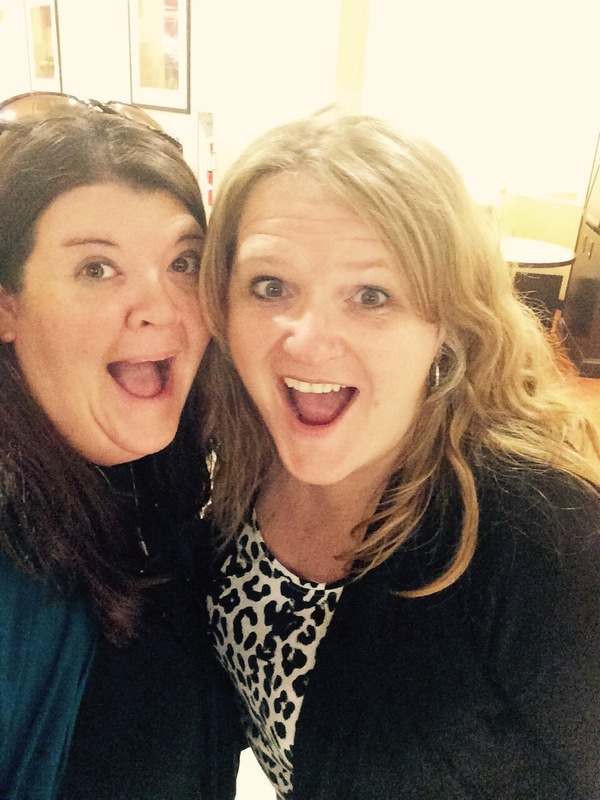 I turned to look at her, wide-eyed–and saw Brandon and Jen Hatmaker standing behind her. Stunned, I whipped around to look at Anna in front of us, my mouth wide open. I’d barely laid eyes on her when she saw them, and her mouth dropped open. Gathering my wits, I lifted the camera that hung around my neck and started shooting, rapid-fire, at the shock and surprise written all over Anna’s as Jen approached with arms outstretched. I’m giddy just sitting here thinking about it a year later. The Hatmakers hung around for a bit, getting their copy of TPD autographed and chatting with #the4500 tribe. Right before we left the house, Anna and I had dashed back inside to get our advanced copies of Jen’s newest book, Of Mess and Moxie, because we had a review deadline while on the tour. Anna couldn’t find hers, so we only had mine. I dashed out to the car to grab it so Jen could sign it. Thus, Anna and I joke that if ever our friendship should end, we have a shared book baby to battle over custody of. Ha! After the signing, we had dinner with a few of our tribe, then headed to stay the night at Anna’s sister, Estephania’s house for the night. I know. I’ve talked about this book for months…years, even. You likely already know what the title is. But I’ll tell you anyway. 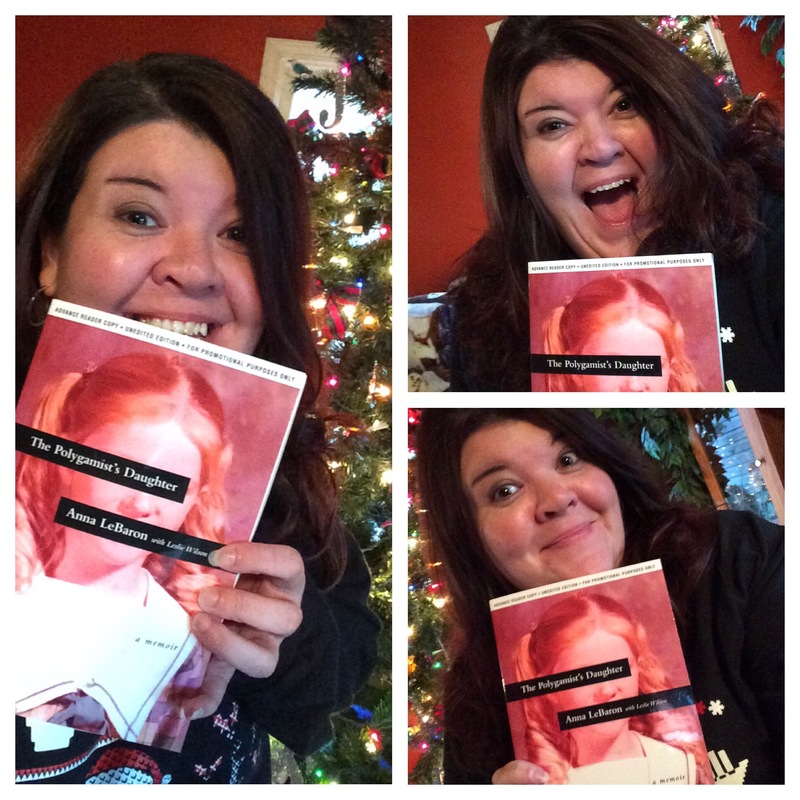 The Polygamist’s Daughter by Anna LeBaron. On to the story: The Polygamist’s Daughter is the third book I’ve read about the LeBaron family, so I already had a pretty solid frame of reference for the people, places, and events Anna discussed. I’ve also heard her speak informally about her family of origin. As much as I already knew about Anna’s experience, actually reading her account from the perspective of “little Anna” unlocked a new wave of emotion—a host of emotions, actually. Until late 2015, I’d read only a couple of memoirs. It just wasn’t my favorite genre. Since then, memoirs have earned a pretty high ranking on my favorite genres list. One thing I’ve found to be an indicator of my interest is binge reading sessions. There are some books that require you to find a comfy spot and remain there for the next 5-6 hours, hardly moving as you progress from cover to cover. This is one of those books. 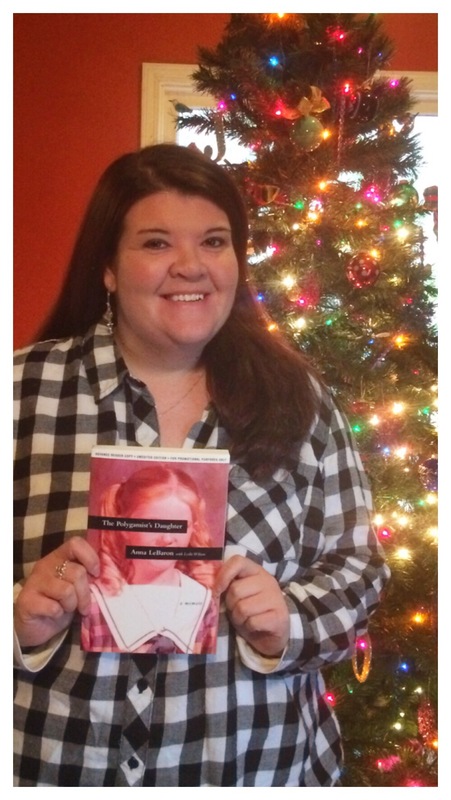 The Polygamist’s Daughter plunges you into the depths of rejection, loneliness, anxiety, and depression. A desire to intervene and protect, shield and comfort young Anna will rise within you. As the story progresses, you will rejoice at the strength, bravery, and courage that Anna finds deep within herself. You will walk away with hope that light shines even from the darkest circumstances. I don’t want to give away any spoilers, so I’ll just say this: Anna’s objective was to tell her story from the perspective of herself as a child and she and her contributing writer, Leslie Wilson, accomplished that beautifully. Anna has skillfully told her story in a way that invites her readers into her experience from the perspective of an innocent child navigating her way into adulthood. The Polygamist’s Daughter by Anna LeBaron with Leslie Wilson (Tyndale) releases March 21, 2017 and is available at most book retailers. Learn more about Anna at www.AnnaLeBaron.com. Life is full of wearying circumstances that we sometimes can’t find any understanding of why we’re faced with such pain. But there are other times when…we can eventually see that our journey has brought us full circle. 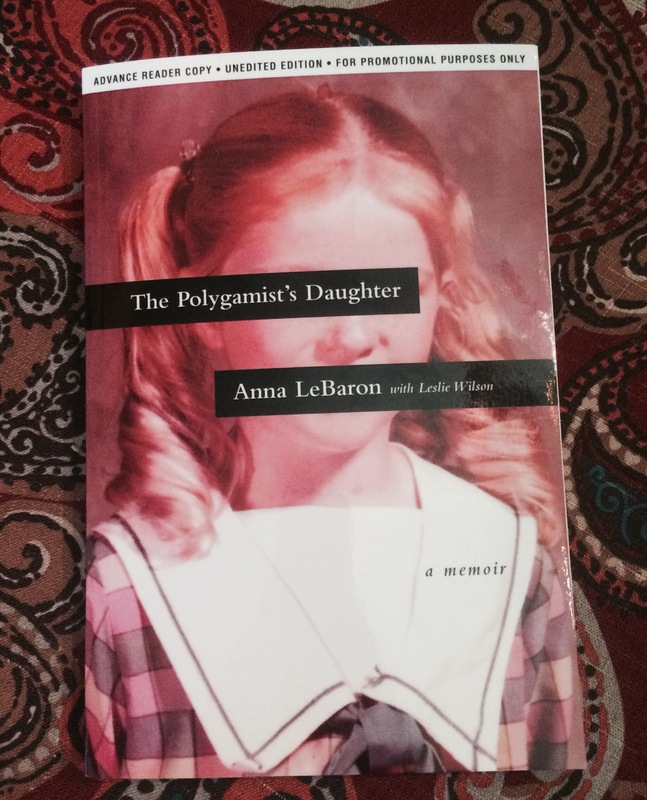 Anna’s story is coming full circle with the publication of The Polygamist’s Daughter. 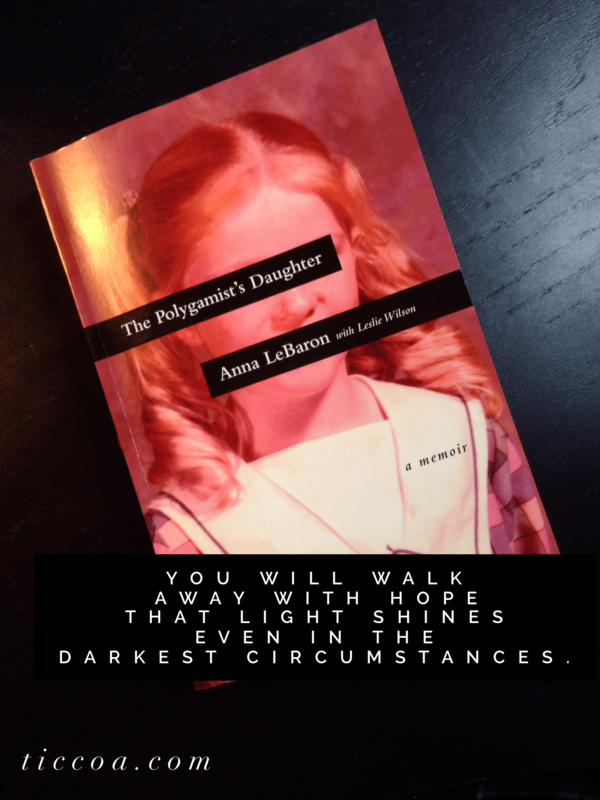 After a full year of anxiously anticipating it, I received an advance copy of my friend Anna LeBaron’s book, The Polygamist’s Daughter, in the mail yesterday. I was literally jumping up and down and squealing. I haven’t yet found a way to put all my feelings about this book into words. But here, I’m going to try. Anna’s book is a memoir of her childhood growing up in a violent, polygamist cult and how she escaped it at the tender age of thirteen. She tells of horrific events she witnessed and the hope of not only having lived through them, but also of finding healing as she grew into adulthood. She replied that not only am I a proud aunt, but also a book doula. So, I guess maybe I’m a baby doctor/nurse of sorts, after all. Life is full of wearying circumstances that we sometimes can’t find any understanding of why we’re faced with such pain. But there are other times when, if we walk the path long enough—and trust the process of navigating our way through the rocky terrain, the loss of directions, and the questioning of whether we’ll ever make it out of the valley—we can eventually see that our journey has brought us full circle. This doesn’t necessarily mean that it brought us back to our starting point, but rather it has connected our beginning point to another beginning point…and so on. A circle, by virtue of its character, doesn’t have a beginning or end point; it flows fluidly together in a continuous line. The stories of humanity have been interconnected since the beginning of time and continue to weave through and around every person on this planet. We will never really know how intertwined our stories are to one another; however, occasionally our stories intersect with another’s in such a way that it brings us full circle in some aspect of our lives. There have been many times over the past two years when I’ve stared ahead at the rocky path and wondered where exactly this road was leading. Being lost and without direction isn’t something I struggle with as much these days, but it rears its head occasionally. There are still deep valleys that I must walk through. But I’m beginning to see the fluidity of the circuitous path I’ve been wandering the last few years. Part of that journey has been intersected by the journey of this woman who I’ve quickly come to know as a heart-friend. (Anna’s name has appeared on this blog numerous times, partly because her encouragement has given me the courage to own my brave.) A month ago, the two of us attended a retreat (Splendid By The Sea) in coastal North Carolina. At the end of the retreat, circumstances allowed us to drive several hours inland together before we parted ways. As we drove, we marveled at the fact that we’d road-tripped to another Splendid retreat together just six months before. And here we were again. A couple of hours later, we arrived at her hotel—the same one where we’d met just nine months before in the middle of Snowpocalypse 2016. We squealed a bit and laughed incredulously as we parked the car, darted inside the lobby, and took a quick selfie in approximately the same place we’d become internet-friends-turned-real-life-friends. Once we were back in the car, I commented that we’d come full circle. The fluidity of the circle doesn’t stop there, because after all—it is a circle. 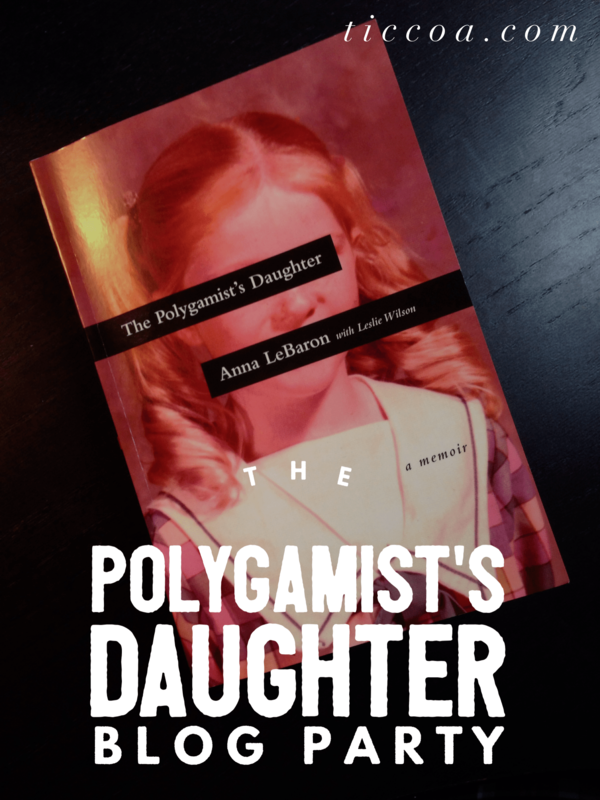 Anna’s story is one that is coming full circle with the publication of The Polygamist’s Daughter. The censor bars covering her six-year-old mouth and eyes on the book cover are a chilling representation of the horrors she saw and the secrets she was forced to keep. She has found the freedom and courage to tell her story. Anna has overcome the aftermath of a multitude of tragedy. It will always be a part of her story. She will always be the polygamist’s daughter, biologically. But it does not define her. What defines her is her hope, her joy, and her genuine desire to love those around her fiercely. She lavishes these things on everyone she meets and leaves a trail of light wherever she goes. I’m so blessed to be alongside her on this journey. It has been both an eye-opening and inspiring experience for me. If you’d like to know more about Anna and her book, please visit her website, www.AnnaLeBaron.com. The Polygamist’s Daughter officially releases March 21, 2017—check back here for my “official review” then!